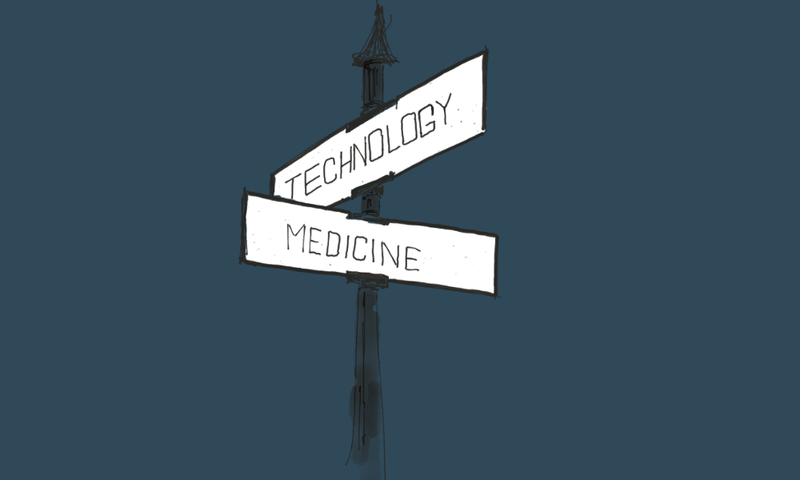 Is Dialogue a med-tech startup? Not in a traditional sense. Most people would imagine that med-tech startup would build software or devices and offers them to healthcare segment or health-conscious consumers. Dialogue is what I’d call a med-tech hybrid — a technology startup that offers a medical service. A med-tech hybrid combines a technology team with a medical team into a single company with a common vision, strategy, culture, and objectives. Creating such a combination isn’t easy. But it delivers great healthcare services at a speed that traditional healthcare providers would find simply impossible. It is a powerful new model, one that entrepreneurs healthcare space should consider. How does one bring the “med” and the “tech” together into one whole? How does one reconcile the famous startup motto “Move Fast and Break Things”with the all-important Hippocratic Oath? Here are key things that med-tech hybrids do differently. There are thousands of med-tech software vendors. They build software and offer a subscription to a software product, cloud-based or on-premise. A med-tech hybrid also offers a service, but what’s offered isn’t software, but an actual medical act, a consultation, an analysis, a medical opinion. From the outside, the company looks more like a clinic and less like a tech company. Unlike a medical clinic, a med-tech hybrid builds and optimizes its own technology. In the case of Dialogue, we’re building the app for patients to access telemedicine service, a care platform and nurses to provide triage and follow-up at scale, and a telemedicine-optimized system to deliver great care. Recent example: we’ve noticed it was too easy for nurses to miss a patient’s message using the web-based Care Platform. Web apps, in general, don’t handle real-time notifications very well and growing volume of patients makes it harder. The issue came to the attention of Victor Repkow an engineer responsible for the Care Platform, who sits right next to Chloe Eustache, a nurse clinician. Next thing you know, the Care Platform isn’t a web app anymore, but a full-blown desktop app compatible with Windows and macOS. The notifications are handled natively by the operating system, the nurses have a better experience. This kind of feedback loop is simply impossible to achieve when the company doesn’t control their tech stack. As we scale, there’s much more to come here. There are lots of opportunitiesto apply AI to augment the intelligence, attention, and talents of healthcare professionals. Technology will enable the delivery of personalized health services in a way simply impossible to offer at scale via traditional healthcare system. There’s assumed understanding between tech startups and their early adopters. Startups expect users to be active, engaged, willing to try fresh new features even if they aren’t quite finished. Tech startups rely on their early adopters for feedback, beta testing, and validation of their products. Users self-select by willingly trying new products and signing up for the latest beta. The healthcare services, on the other hand, deal with people health and often with people’s lives. They deal with people’s most private information. They are heavily regulated for very good reasons. When it comes to people’s health, there should not be such thing as a “beta”. Med-tech hybrids don’t expect patients to be beta testers. This means being much more careful with the quality of their products, be as respectful of health regulations as other participants of the healthcare system. Another example from Dialogue’s first year. While growing the service across Canadian provinces we’ve learned about an intricate set of provincial regulations that control which certification a physician needs to provide care. It turned out, the actual location of the patient is more important than their province of residence. We’re updating the mobile app to get patient’s geolocation so the healthcare team can be confident they are treating only the right patients. The healthcare system’s neglect of design is astonishing. It is quite amazing how such a human-centric industry has such abysmal record of product design and user experience. Contrast a hospital management system to Slack. Compare an appointment reservation experience to an Uber app. Med-tech hybrids rethink the design of healthcare services and make them much better designed, more convenient and accessible. Since inception, design received a ton of attention at Dialogue, with Suhaila Baheyeldin and Alena Delena crafting experiences for physicians and patients. To get a sense of what kind of profile a med-tech hybrid needs, take a look at a recent post that describes what we’re looking for in a Product Designer. Since I wrote that post Kylea Parker joined the team. Perhaps the most critical element of the success for a med-tech is healthcare professionals working hand-in-hand with product managers, designers, and engineers. Building such a diverse team and making it fire on all cylinders takes work. It takes constant communication, to keep everyone aligned. But the payoffs are tremendous. It is well known that diverse teams have a much higher chance of creating great products and services. We’re betting on it. On May 17, 2017 Dr. Natalie Skinner and I have delivered a presentation at HealthTO talking about health-tech hybrids. The slides are here.